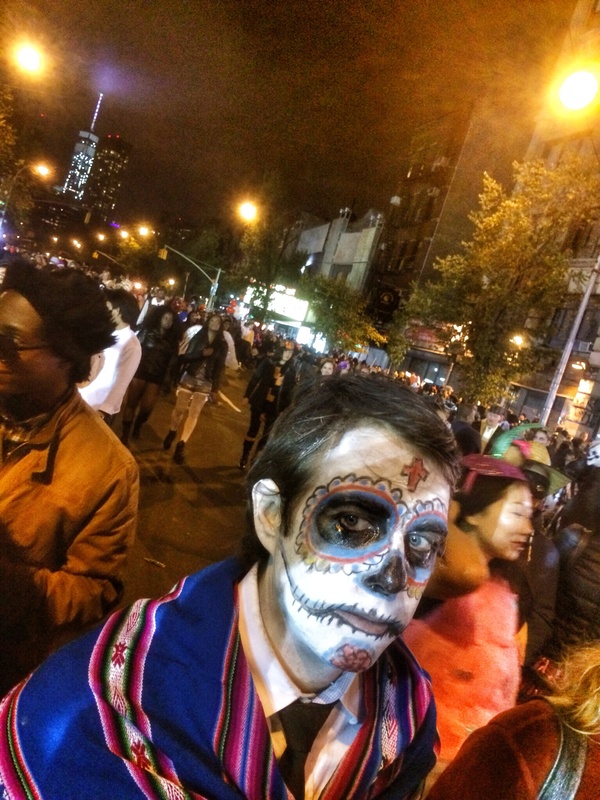 Halloween is a big holiday for New Yorkers. Bars and restaurants become enshrined in fake cobwebs. Dogs dressed as tarantulas or pirates or ballerinas are proudly paraded by owners. Ghost tours and haunted houses come forth to celebrate all things macabre, gorey, creepy and/or scream worthy. To fully celebrate, Nathan, Brenda, Drew and I decided to join the thick of Halloween craziness, which centers on the West Village. Each year, a parade takes over 6th Avenue in which anyone in costume can join. I love the spontaneous, convivial nature of it all. It’s very New York. 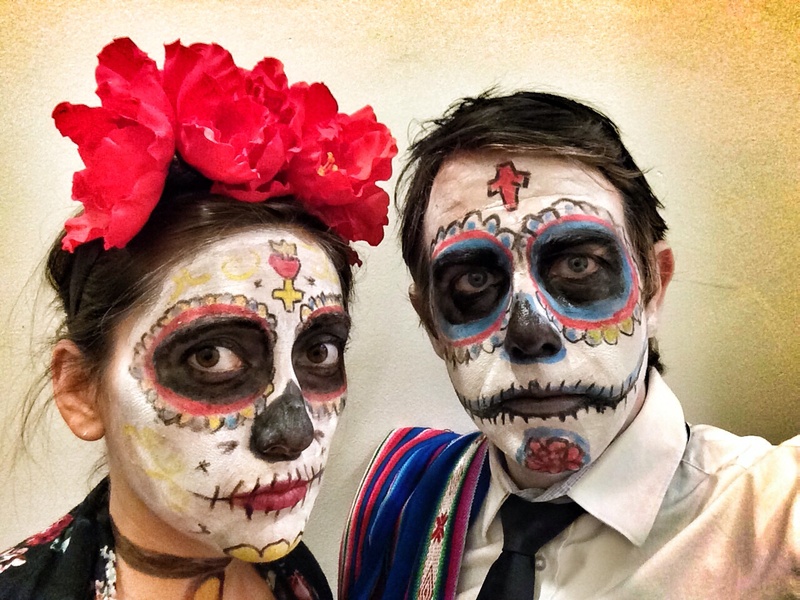 Nathan and I went all out dressing as Mexican calaveras (sugar skulls), sweets traditionally served around this time. What’s Halloween without a little scare factor in it? 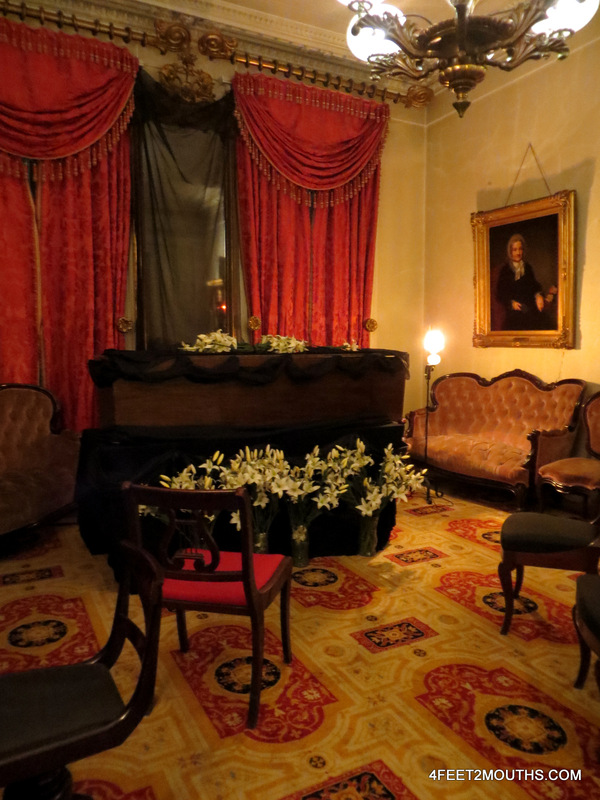 The best spooky experiences are the ones where there is a grain of truth which is how we found ourselves at a candle lit funeral from the 1800s. The Merchant House Museum is in our Noho neighborhood and its history has always intrigued me. About 6 different ghosts have been sighted within its walls. Not only was the candlelit ghost tour the appropriate amount of creepy, the walking tour gave me new insights about my neighborhood. 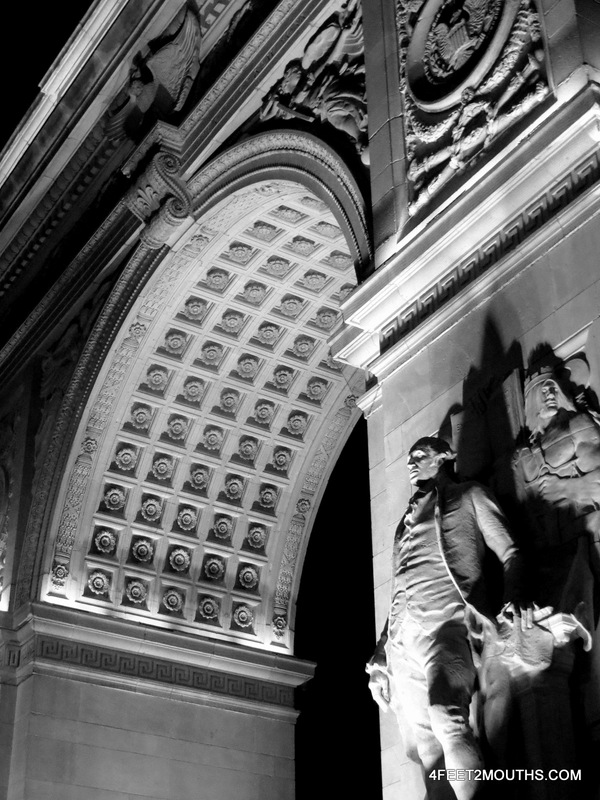 The grisly Bond Street murder, Edgar Allen Poe’s favorite bar (now occupied by Il Buco Alimentari), and the fact that the Washington Square was once a cemetery and still has 20,000 unexhumed bodies buried there were all news to me. 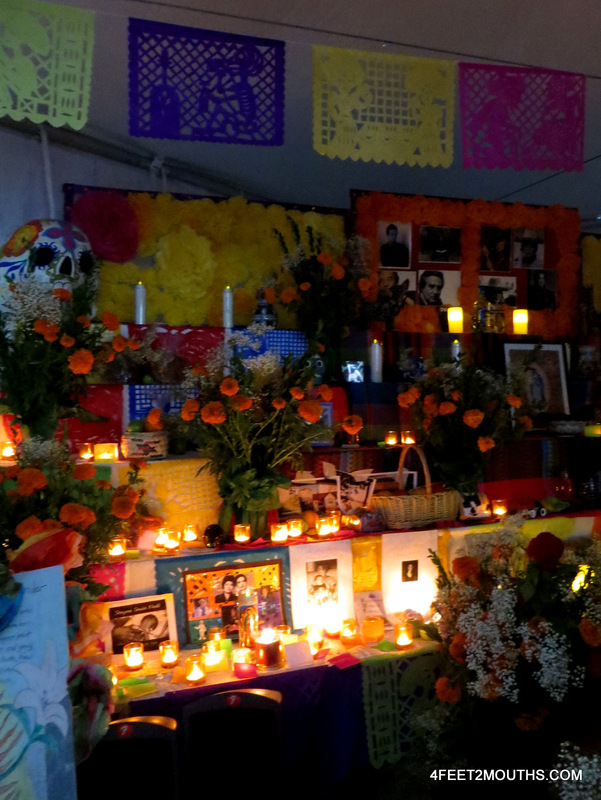 In the days following Halloween, we visited the East Village to view the Day of the Dead altar at Stuyvesant Square. 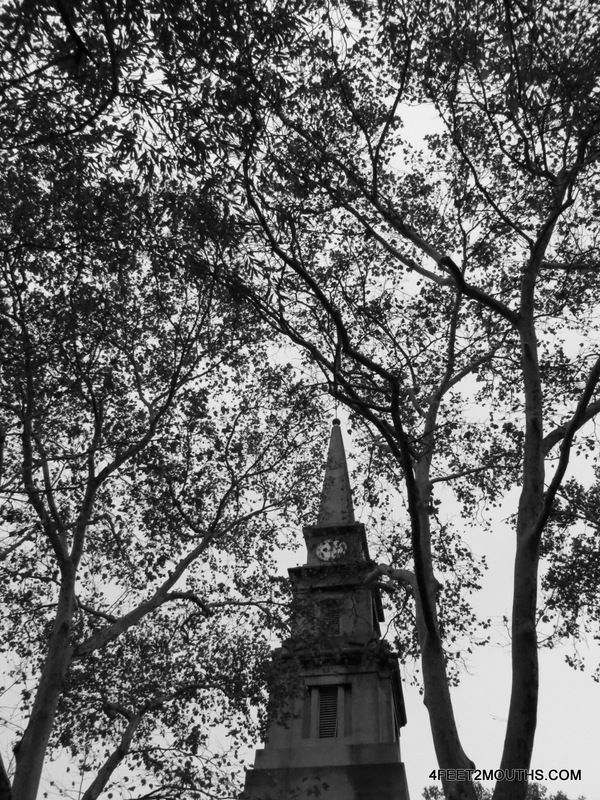 Hosted in the shadow of the historic Church of St. Marks in the Bowery, the altar and food stands were sprinkled among grave stones from the early 1800s. It’s hard to imagine the same square at that time, when the church was surrounded by farmland and stately homes. 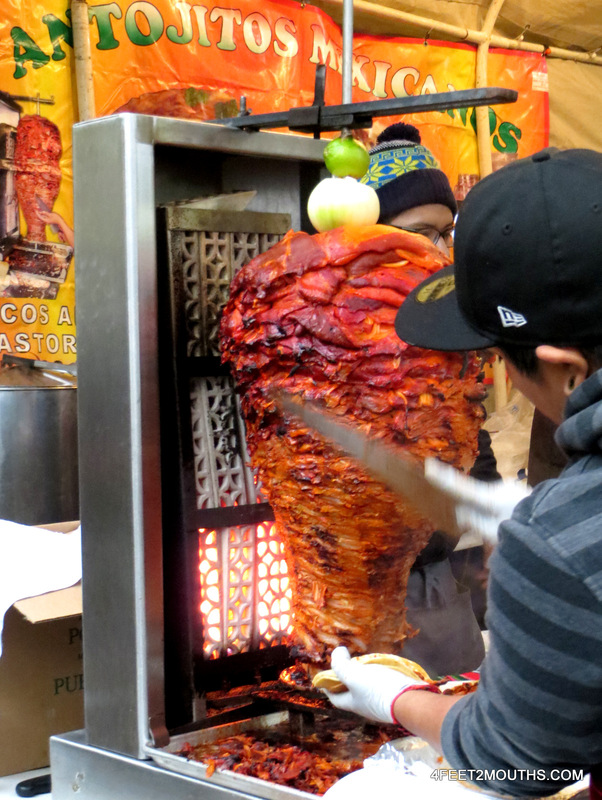 Though we had just eaten lunch, we made room for a delicious al pastor taco. Looking forward to many more of those in our upcoming Mexico vacation!